Visitors arriving in Newcastle are strongly advised to climb aboard a sightseeing bus and tour the city, learning about the attractions en route and enjoying the entertaining commentary. Alternatively, join of walk tour, take a cruise along the River Tyne, spend time shopping in neighbouring Gateshead, or head to a nearby beach at Whitley Bay for an afternoon of sun and sand. 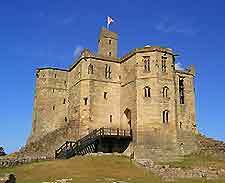 Further tourist attractions in the Newcastle area include the excavated Roman treasures at Segedunum, steam train rides at both the Bowes Railway and the Tanfield Railway, and plenty of entertainment options at the trendy Customs House, where theatrical shows are regularly staged. Also popular is the city's Opera House, the Newcastle Playhouse and Gulbenkian Studio Theatre, and the Theatre Royal, where you will likely find something to tempt you out for the evening. Regular, open-top hop on / off Newcastle guided bus tours operate throughout the day at regular intervals. 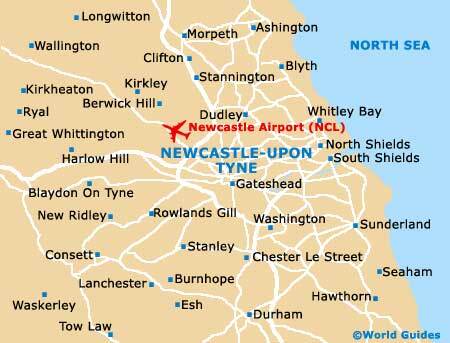 These bus tours provide an easy way of sightseeing in the Newcastle-upon-Tyne and Gateshead area and with daily bus tickets, they are also a very useful way to travel around, since you are able to leave the tour bus to explore and return when you are ready. 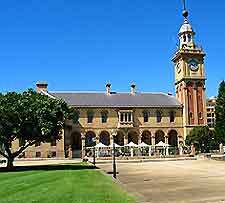 There are a number of walking tours around Newcastle and these provide tourists with a real insight into the city's rich heritage. Walking tours should usually be booked in advance to ensure your place and tour guides are often locals, with a wealth of knowledge about the area and its buildings. 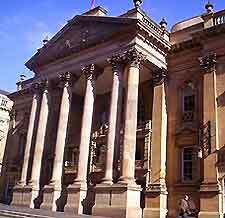 Customs House, in the South Tyneside area, close to the River Tyne, is a major entertainment and leisure complex, housed in a historic building. With a state-of-the-art cinema, theatre, a large gallery area, a bar and a restaurant, Customs House features regular exhibitions, theatrical performances, dances, concerts, festivals and many seasonal events. One of the most pleasant and relaxing ways to see many of Newcastle-upon-Tyne's most striking waterfront attractions, general heritage and impressive landmarks, is by boat. Regular evening cruises onboard the 'Pride of the Tyne' take place from the South Shields Landing and the cruise includes a buffet. Daytime cruises are also available from the Quayside area and include interesting commentary. Whitley Bay is a lively nearby seaside resort and has recently been completely renovated. 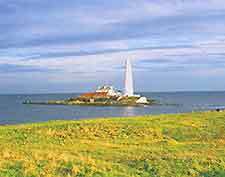 With many traditional features, a golden sandy beach, a seafront promenade, a lighthouse, a golf course and a lively nightlife, Whitley Bay appeals to both children and adults. Segedunum, in the Wallsend district, is a historic site close to part of Hadrian's Wall. Attractions at Segedunum include a museum with many Roman artefacts and hands-on displays, an elaborate reconstruction of an actual Roman Bath building, exhibitions, excavations, a tall viewing tower, a café and a gift shop. This attractive water mill dates back to the 18th century and is in full working order. Located in nearby Gateshead, just a short distance from the city itself, the Path Head Water Mill features woodland walks, scenic views, picnic areas and exhibitions of local artefacts. The trendy and popular Gateshead Music Centre is located on the Gateshead Quays, close to the city. Recently redeveloped at a cost of more than £50 million, the Gateshead Music Centre is home to a wealth of music-related attractions, including a large concert hall with world-class acoustics, a highly regarded music school, studio, practice rooms, cafés, bars and scenic views. 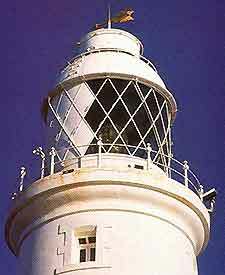 Located in Whitley Bay, St. Mary's Lighthouse was built in the late 19th century. Featuring spectacular views of the coastline, a visitors' centre, a gift shop and a nearby beach, St. Mary's Lighthouse is surrounded by a large nature reserve. The wonderful Tanfield Railway was built almost 300 years ago and is actually the world's oldest railway. With lovingly restored steam locomotives, travelling through scenic valleys and beyond Causey Arch, a visitors' centre and seasonal events, Tanfield Railway is within easy reach of the city. Located in the Gateshead area of Newcastle, the impressive Riverside Sculpture Park features eight large sculptures strategically placed along the bank of the River Tyne, close to the trendy Quayside. Bowes Railway is an unusual steam railway, which incorporates a rope hauling system. With picturesque journeys between Blackham's Hill and Springwell, Bowes Railway is situated in the Gateshead area. Cherryburn, in the Northumberland area, celebrates the life of famous local artist and sculptor Thomas Berwick. Attractions at Cherryburn include a large exhibition containing many original works by Berwick, a gift shop, demonstrations, a farmhouse and gardens. Cherryburn is owned and managed by the National Trust.